A petite bite for your pampered pet! Specially formulated and designed for dogs under 25 lbs. 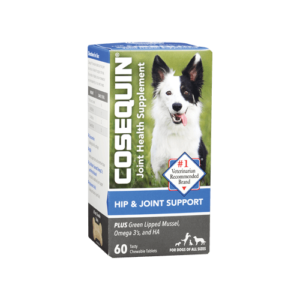 Contains Boswellia for additional joint health support. 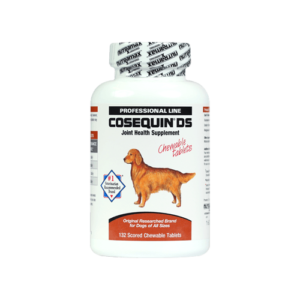 What is Cosequin® Minis Plus MSM & Boswellia? 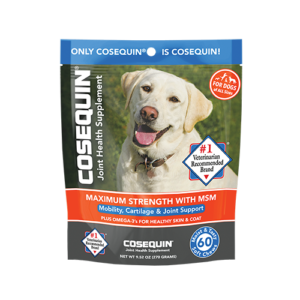 Cosequin® Minis contain the trusted Cosequin® formula in a mini-sized soft chew designed to meet the needs of dogs under 25 lbs. 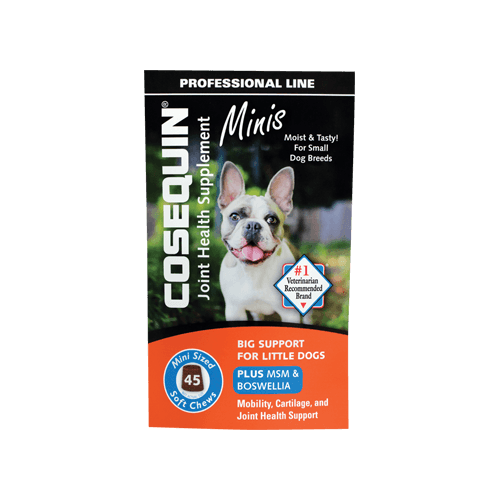 Cosequin® Minis include the trademarked ingredients of Clucosamine and Sodium Chondroitin Sulfate, along with MSM to help maintain your dog’s cartilage and connective tissue. It also contains Boswellia for additional joint health support. 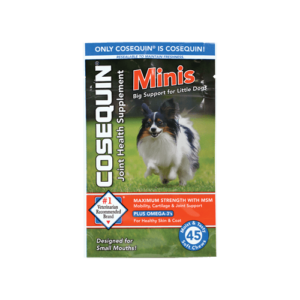 Each bag of Cosequin® Minis contains 45 tasty soft chews designed to accommodate the smaller mouths and sometimes finicky nature of certain breeds. 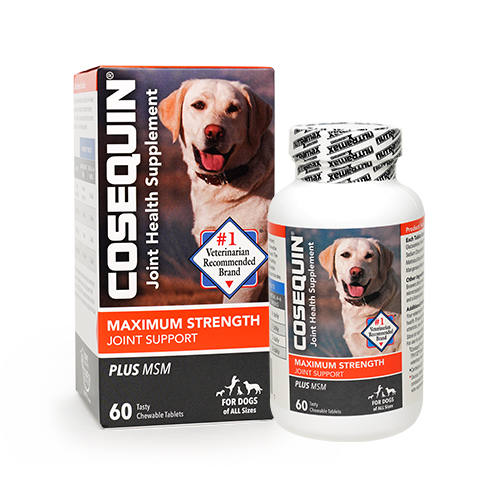 The Minis offer a softer, easy to administer alternative to chewable tablets, formulated to deliver the joint health support small dogs need. The recommended initial period is four to six weeks; however, some dogs may respond sooner. The number of soft chews may then be reduced to the maintenance level. 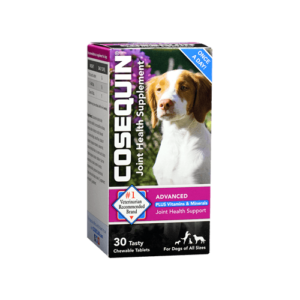 The maintenance level can also be used long term on healthy dogs to help support their joints. 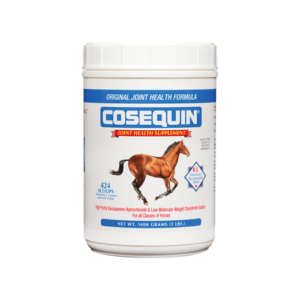 Cosequin® Minis soft chews can be given all at once or divided throughout the day. Glycerin, starch, natural flavor, vegetable oil, silicon dioxide, mixed tocopherols, green tea extract, and rosemary extract. Your veterinarian is your best ally in managing your pet’s health. If your pet has any condition that requires medical attention, you should always consult your veterinarian. For use in animals only. Keep out of the reach of children.